Android phones are every day devices, your Android phone knows more about you than anybody does because you spend most of your time with it, like making phone calls and text messages, browsing the internet for information or entertainment, playing games android games, social media, watching videos online or playing your favorite music. But, what would you do when you become hindered exploring this amazing features due to low battery percentage or poor power supply. Android phones has evolved rapidly over the years and now it serves as the primary source of communication, information and entertainment for most people around the world today. 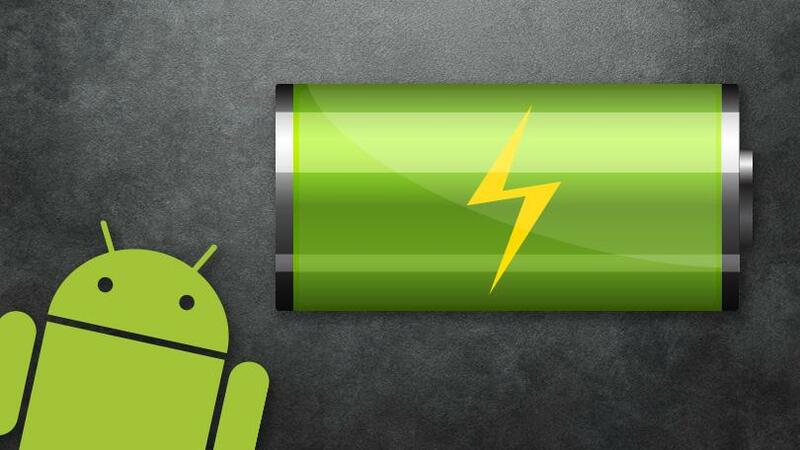 As our Android phone becomes more powerful it's comes with lots of features which takes a toll on the battery life. 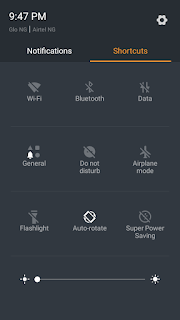 While some of these features are for fancy, some other features are of top priorities, even though your Android phone is meant to be used to its fullest capabilities there are some features you can do away with in order to conserve your Android phones battery life. 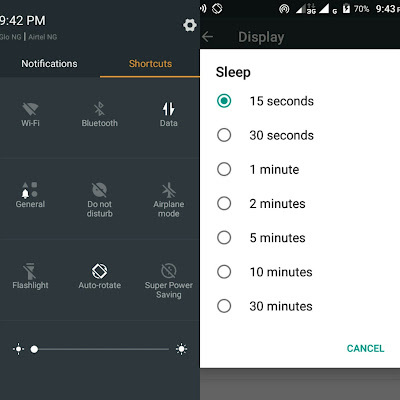 I will be listing few tricks that will help you increase your Android phones battery life. 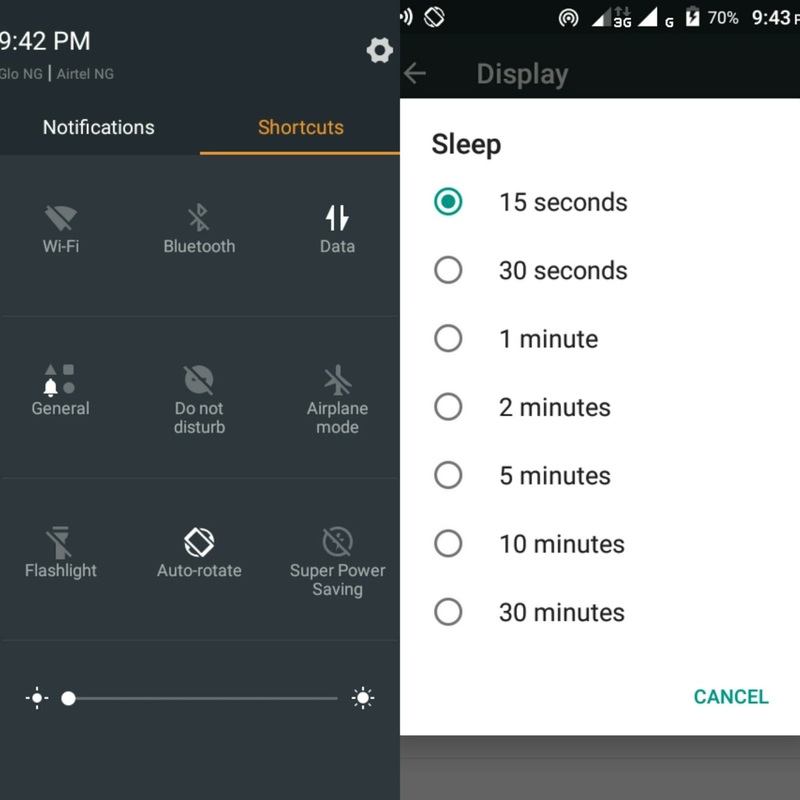 The screen back-light takes a lot of battery juice, by dimming the screen brightness and reducing the sleep timeout of your Android phone you will will notice an increase in the phones battery life. This is good especially when you are indoors or dark areas. Some Android phones screen could be difficult to view under bright sunlight, so we would suggest you set it at automatic brightness option if you often use your phone outdoors. To adjust your screen brightness you can simply draw down your notification bar and adjust the brightness bar it to suit. Turn off vibrations and sound on key-press. 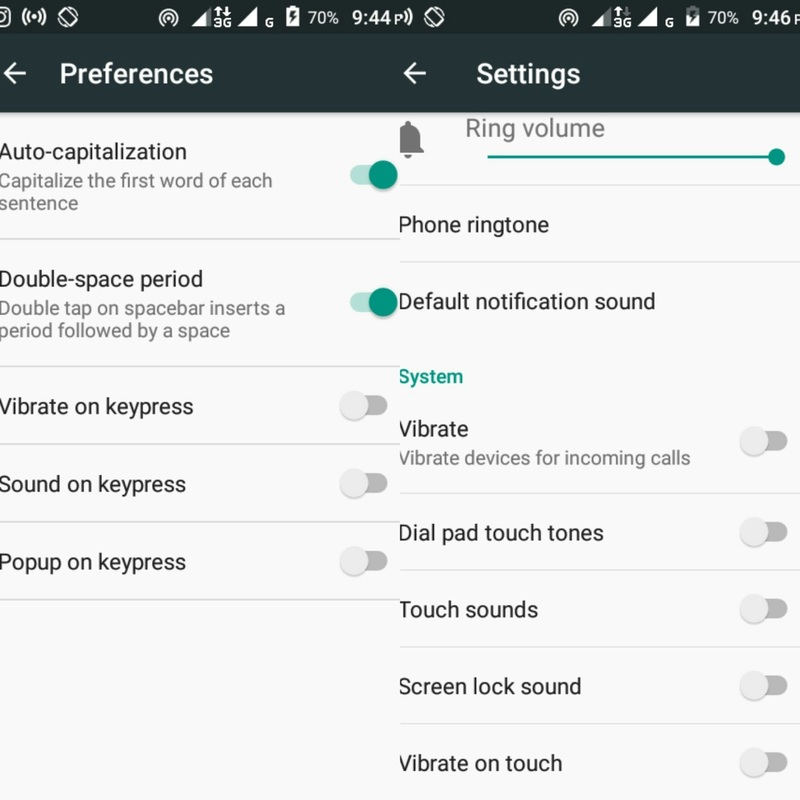 Unless you are in a noisy environment and really need the alert features because vibration motor takes more power than your ringtone. Also turn off haptic feedback (the little vibe sensations you get while typing on the keyboard ) and sound on key-press (keyboard tune). These features are cool, but we can always do away with it to increase our battery life. To turn off Haptic Feedback and Sound On Key-press goto ; Settings - Language and input - Select your keyboard - Preferences/Settings - Disable Vibrate and Sound on key-press. 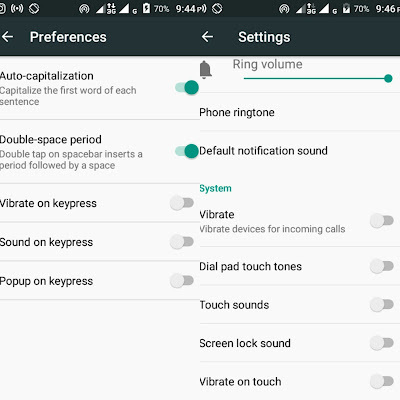 To turn off vibration goto ; Settings - Sound and Notification - General - Disable Vibration. Always switch off wireless service when you are not using them. Although most of this service are need, but you can minimize their use as it helps to save your phones battery. You can always turn off your mobile data when you are done browsing the internet, use your WiFi only when you know the service is available and turn on your Bluetooth or GPS (location service) only when you need to use the Bluetooth (files transfer and Bluetooth devices) or GPS when you need location base services like Google map or Uber. 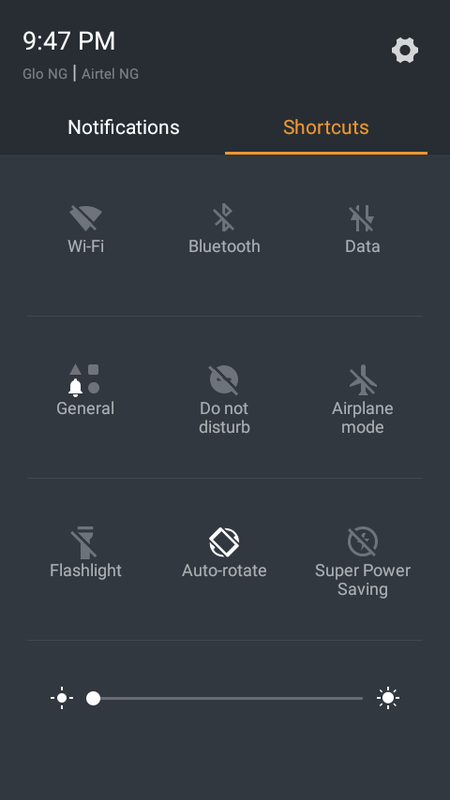 Most Wireless Service (Data, GPS, NFC, WiFi, Bluetooth) can Be easily turn off from the notification bar, just draw down and click on their corresponding icon to disable. Using multiple (Multitasking) application is a great Android phone feature but do not leave applications you don't need running in background because the applications increase the phone's processor workload and burns a lot of energy. Always download the lite version of applications if available, Lite/Mini applications are lite versions of already existing applications which use lower a memory configurations thus reducing your phones CPU usage and conserving your battery life. 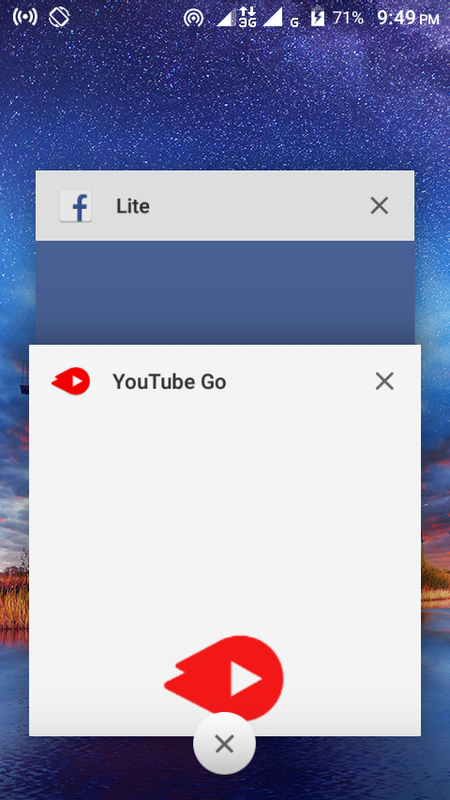 Some lite applications are available for download like YouTube Go, UC mini, Facebook Lite, even some games like Asphalt nitro and NOVA legacy. You can also read how Lite applications makes your phone faster here. Most phone ROM comes preinstalled with a battery saver app. This application helps conserve and optimize battery usage. You can select from 3 different modes. 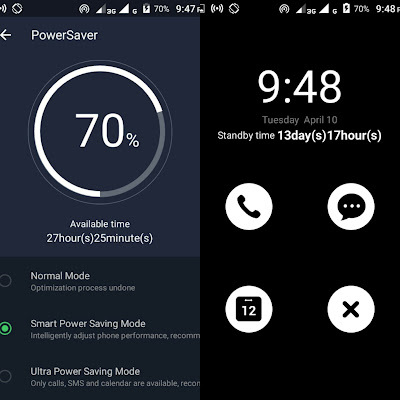 Smart Power Saving Mode, In this mode the application intelligently adjust the phone performance to give you the maximum battery saving output. Ultra Power Saving Mode, This is a very aggressive battery saving mode that automatically disables all other smart phones features with only Calls, SMS, Calendar left available. I hope this list on How To Increase Your Android Phones Battery Life helps saves your Android phone battery life and maximize your fun. You can also read the common most believed myths about phones batteries here.